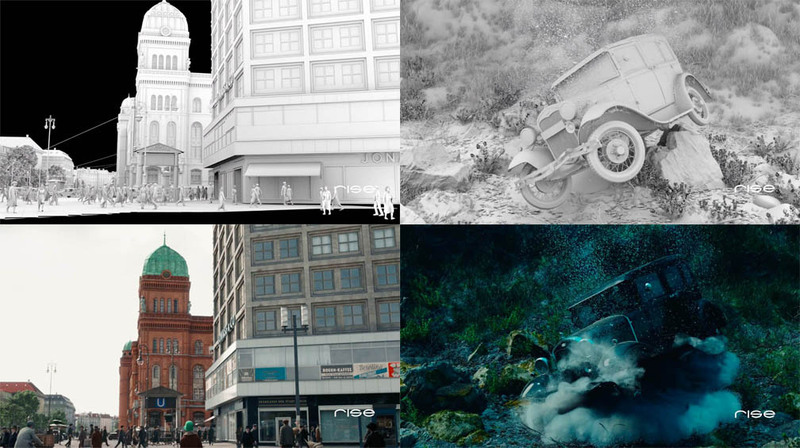 RISE Visual Effects Studios recently delivered More than 800 VFX shots for the most expensive non-English series Babylon Berlin. Series was directed by Directors Tom Tykwer, Achim von Borries and Henk Handloegten. Set in Berlin in the 20s VFX works for RISE lead by VFX supervisor Robert Pinnow involved historically accurate set extensions with hundreds of digital buildings, underwater environments, CG landscapes and trains, CG aerial shots and the most detailed crowd simulations including CG cloth. A creative team of 120 artists in Berlin, Munich, Stuttgart and Cologne worked on this project. The Tv series is now available on Sky, in some territories on HBO and on Netflix in the US.